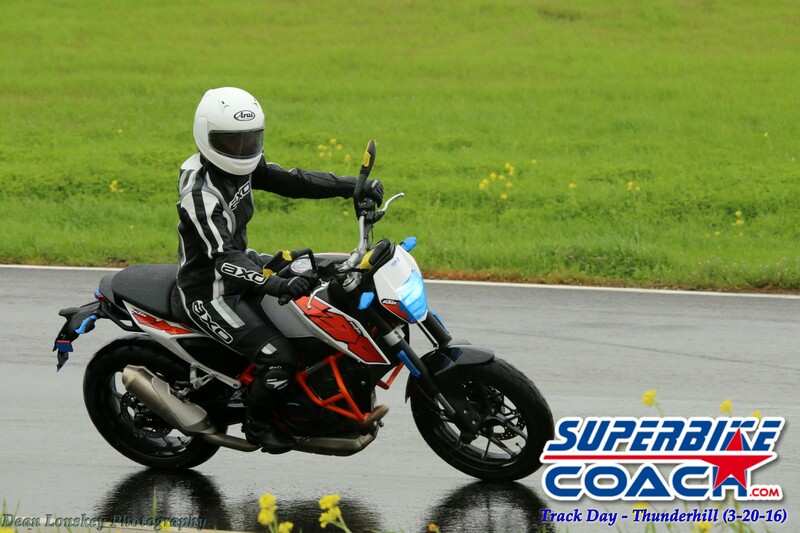 I can’t put in words what it meant to me as we booked out Superbike-Coach’s first organized track day ever- but as 90% of the riders showed up regardless to the weather forecast… that made me real proud. And those people got rewarded for it big time, because the first session was dry and the last three as well. Our mission… to deliver a safe and hassle free place where every rider- on every bike can pursuit the happiness. No pressure- no ego- no overrated requirements in gear and bike. 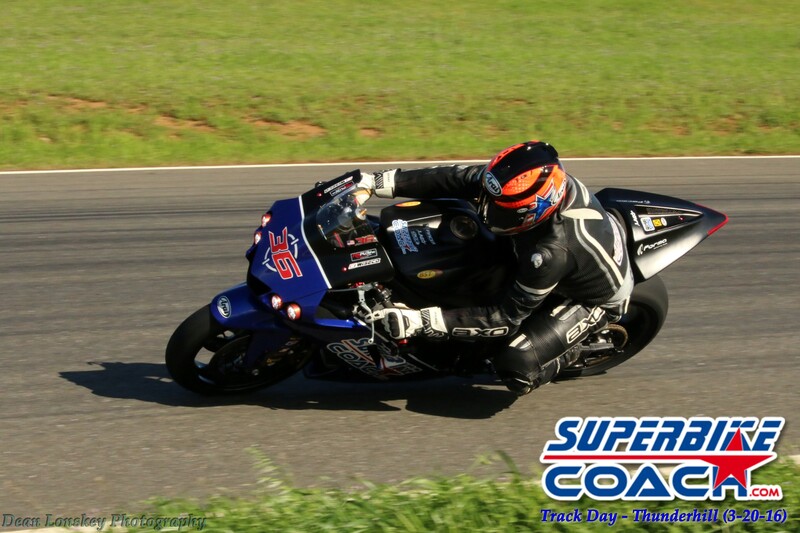 The Superbike-Coach team delivered, and beyond.In all the years of working with track providers… I knew what i would have to do to be different, and many experienced track riders confirmed that I did. Even in these conditions we put 5 crashes to the book. No injuries, and all could keep going with the track day. My team worked their butts off to make everything right. With lots of laughter’s and heart they helped to made it an unforgettable experience for our riders. 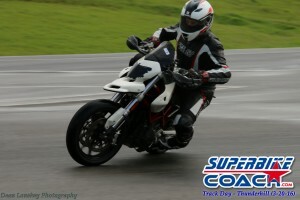 Many of them were/are students of the Superbike-Coach Corp, and that made it feel family. Over 2600 pictures has been made by Superbike-Coach photographer Dean Lonskey, who is also working his tail off during this week to get those picture ready for free (!) download. Also a big THX to my control riders Jerry (B+), Steve and David (B), Dan (C) and Kevin (D), who showed patience and respect to everyone. That’s not common these days! I’ve been blessed to have such a enthusiastic team. I’ve been so proud for my boys and girls, cuz’ even as it began to rain… they were standing on the grid and all came back in loaded with new things and experiences and a even bigger smile on their faces. The Clubhouse was packed with people as I began my free ‘Ideal Line West Seminar’ at lunch time, and I was even more happy as they told me how much it made them better after all. I was so happy for them as the sun took over. But it wouldn’t be me if I were totally satisfied, and not seeing what we could have done better. 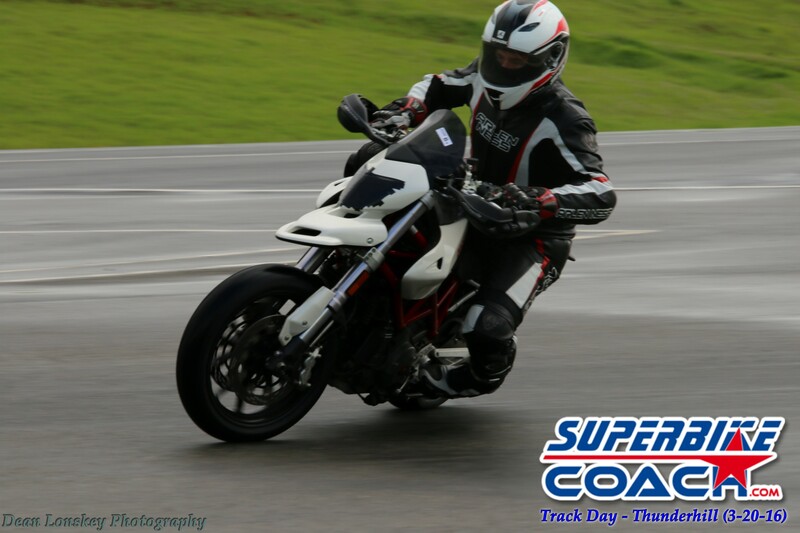 Also that’s why I am happily announcing our very next Superbike-Coach Track Day on April 30th 2016 at Thunderhill West Raceway. Come and join the family! 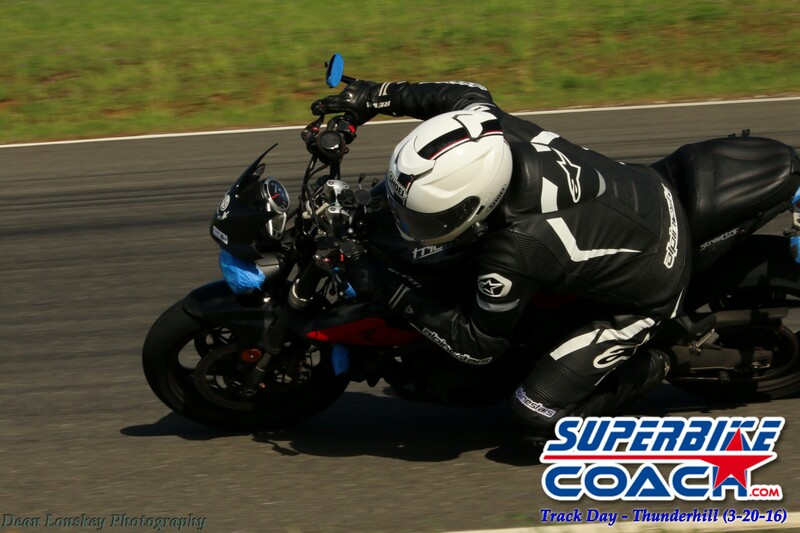 This video displays how respectful and careful we are handling our riders at our track days. 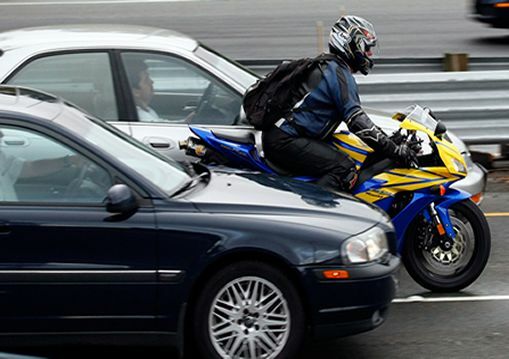 We have space for every rider level and every type of motorcycle in one of 4 groups. Coach Can Akkaya is in almost all sessions out to lead the line and to have some fun himself as you can see. Our track days are highly reviewed. Come and see yourself. We had so much fun with all of you guys! Thanks Coach Can for the awesome track day! Taking the Cornering School series really helped me with body positioning and confidence. By the end of the day, I had my knee down on most of the track! great. that makes our day! Awesome times!! I can’t wait to do this again and I really enjoyed every aspect of the day. The rain made throttle control that much more important. It was fun feeling a little sliding and rear tire spin when I put too much to the rear tire. Thanks for making this happen!!! I loved seeing you smiling all day Grant! Sunday 20th March, 2016. 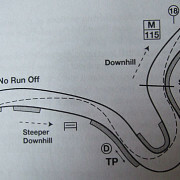 Thunderhill Raceway West. 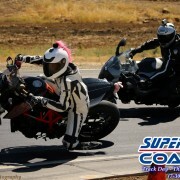 Coach Can Akkaya ran his first ever full-on track day. Groups were B+, B, C and D. Video is from B+ and a little of B. * For a few laps in the wet, you can see I am following a rider wearing a beige suit. In front of him is Coach. Coach came out on the track for much of the time, and helped us learn the track by showing us the lines. I happily took advantage of this and felt it helped a lot. * drier in the afternoon, and you can see I got braver at 4:40. Oops – nearly off! * Coach didn’t discuss lines with us until lunch, so the early really wet laps we were simply tippy-toing our way around, finding our feet. After lunch, we knew the track and now had better knowledge of the best lines. I struggled all day to be consistent, occasionally feeling like I hit the right line. * From about 8:30, the video shows the last afternoon session that I did. The track is almost entirely dry, and I’m starting to feel pretty confident. Sill struggling for lines, especially on the turn on tot he start/finish and the 3 turns that follow. * THE RAIN WAS AMAZING as a learning experience. I concluded that I love the Michelin Road Pilot 4 tyres that I have on my bike!!! I had an amazing time, as did everyone that I spoke to. I’ll definitely be back for more. I highly recommend Suberbike Coach Can Akkaya! It was fun! I’m happy that I didn’t gave up when It’s started to rain, and I had a chance to try we laps too. That was a good learning experience. Certainly was a pretty good day. With all you going out there in te rain, I just couldn’t come up with a good excuse to NOT be out there “shooting” all of you…well wort it! Can’t wait for July!